Accenture Federal Services has tapped a veteran leader from within as its new chief operating officer. Ed Meehan, formerly safety and citizen services portfolio lead, assumes the position recently vacated by John Goodman. Goodman was named chief executive of AFS earlier this year. Meehan has 27 years of experience with Accenture, including time leading the company’s civilian portfolio and sales. 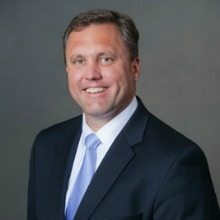 Most recently, he focused on strategic and operational goals for clients in homeland security, law enforcement and first-response agencies as well as supporting education and commerce missions. His community involvement includes sitting on the board for The Women’s Center, a nonprofit counseling and resource center that provides financial, career, legal and psychological support to both men and women regardless of ability to pay. Meehan holds a bachelor’s degree in mechanical engineering from Santa Clara University. “It’s an honor to serve as the new COO of Accenture Federal Services and to help our clients leverage the best in digital technologies, commercial practices and new operating models to achieve transformational results,” Meehan said. “With almost 30 years of highly regarded service to the organization and a successful career focused on growth and operational improvement/best practices, very few people will have an equally intimate knowledge of the culture or inner workings of the business,” HuYoung said.